I have a website hosted on a PC I have no access to. I have an upload form allowing people to upload mp3 files up to 30MB big. My server side script is done in PHP. Every time I try and upload a file, I receive an error claiming that the file exceeds the maximum size allowed, so I need to increase the size. My research on the web suggested changing the .htaccess file which I do not have access to, so that won't work. Others suggested that I should add a custom php.ini file to my root which did not work. Any other suggestions? After modifying php.ini file(s), you need to restart your HTTP server to use new configuration. If you can't change your php.ini, you're out of luck. You cannot change these values at run-time; uploads of file larger than the value specified in php.ini will have failed by the time execution reaches your call to ini_set. See the Description of core php.ini directives. You can change it via an .htaccess file. .htaccess files are stored in the same directory as your .php files are. They modify configuration for that folder and all sub-folders. You simply use them by creating an .htaccess file in the directory of your choice (or modify it if present). The following should enable you to increase your upload limit (if the server provider allows PHP config changes via .htaccess). and it worked great for me! Like @acme said, in php 5.3 and above this settings are PHP_INI_PERDIR directives so they can't be set using ini_set. You can use user.ini instead. replacing the 2M with the size you want, for instance 100M. When you make change on php configration through .htaccess you should put configrations in IfModule tag, other that the Internal server error will arise. Be sure to click the Save button! Well, I would like to add my 2 cents here. "Your PHP was set to 'native' mode which means you can't override those values. I've changed you to just '5.6' so you should be good to go." Everything is working properly for the time being, if any of you overcome with some problems please write here and warn me so that I can change the above-shown codes. By the way, I also upload some pictures which shows the change. One more thing I almost forgot to mention ZipArchive installation on your shared webhosting service, I managed that requirement to tick by just going to php settings through my cpanel, click on php selector extensions and then tick zip section, that's all. PS: I'm open to good practices, and if you see any bad practice here please let me know, I'll try to change them. Thanks. I am working on localhost and using MAMP. or set other values. Restart/reload apache if you have apache installed or php-fpm for nginx if you use nginx. I modded probably four other php.ini files, including the one my system called the "Loaded Configuration File" (php -i | grep -i "loaded configuration file") and the one found on the info.php page but none of them helped. The key to discovering the correct path was found on a site from 2012. They said the path "/etc/php5/apache2/php.ini" was deprecated even BACK THEN but it gave me a clue where to find it. For PHP7 it's a little different than in PHP5 but the concept is the same. Maybe this will help some otherwise helpless schmuck like myself. That being said, the answer to the OP in my case would be that someone with admin privileges on the box would have to do it. Three things you need to check. upload_max_filesize, memory_limit and post_max_size in the php.ini configuration file exactly. 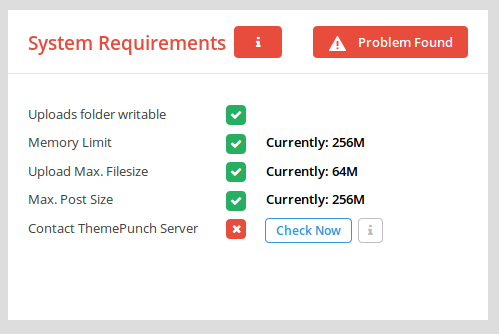 All of these three settings limit the maximum size of data that can be submitted and handled by PHP. Typically post_max_size and memory_limit need to be larger than upload_max_filesize. So three variables total you need to check to be absolutely sure. 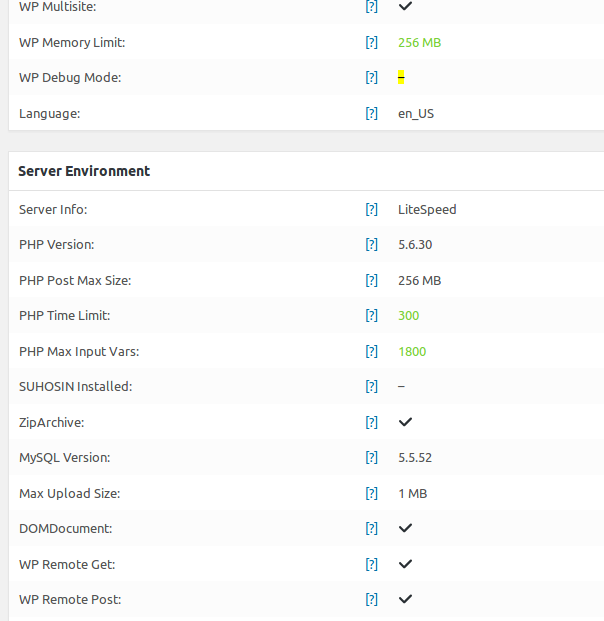 WAMP Icon > PHP > PHP Settings > upload_max_filesize = nM > n = (2M, 4M, 8M, 16M, 32M, 64M, 128M, 256M, 512M, or Choose (custom)). But, if you truly have no access to the server, you might want to explore writing a chunking API. Does jQuery has a limit on the size of uploaded files when using ajax? How to increase the upload file size limit using .htaccess or php.ini? How To Change The Maximum File Size Upload? 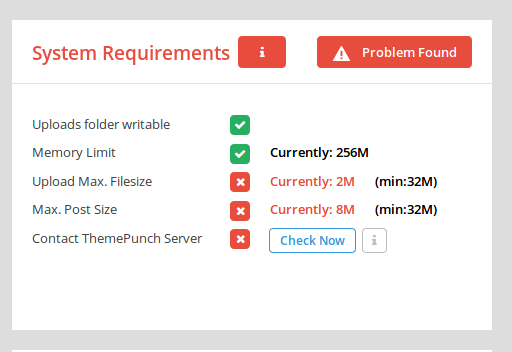 How to allow limited size file upload in php? How do you change the maximum upload size for a specific page? Upload the mp3 file in the folder?